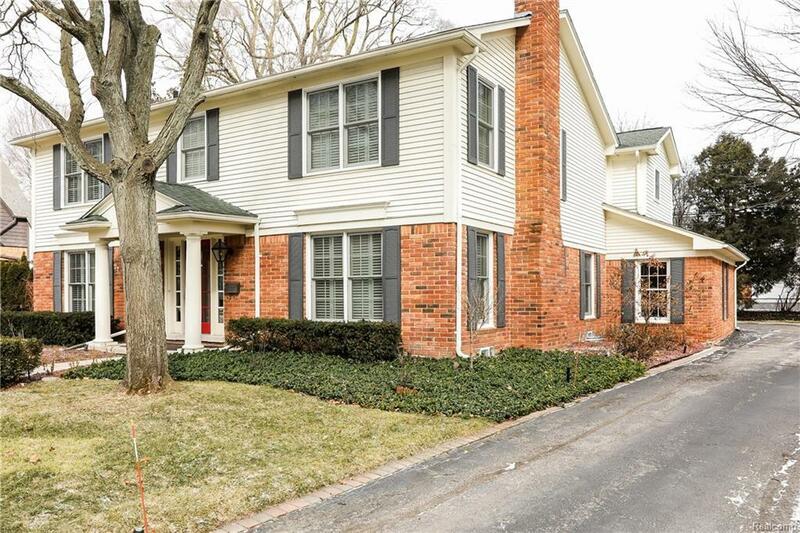 Beautiful Bloomfield Village Colonial home with 4 bedrooms plus a library and a first floor laundry. Kitchen is open to the family room with a cozy fireplace with French Doors leading to outside patio for easy Summer entertaining. Beautiful formal living room/dining room with additional fireplace. Master bedroom suite with an unbelievable marble master spa bath with his/her sinks, large tub, water closet and skylight. 3 more large bedrooms~all with wood floors. Finished lower level plus lots of storage area. 2 car attached garage with mud room area off garage. Good sized yard for outdoor activities.